How can we best prepare the public health workforce for today’s world? Diseases and disabilities in the human population today are extraordinarily complex: from chronic diseases such as heart disease, diabetes, and cancer; to infectious diseases such as HIV/AIDS, H1N1 influenza, and Ebola; to illnesses related to occupational and environmental conditions such as asbestosis and lead poisoning. Further, the causes and determinants of these diseases and conditions are frequently multi-factorial and include broad social, economic, and environmental factors such as income, education, and influences associated with where we live, work, learn, and play. Indeed, further progress in promoting the health of all Americans may well depend on an enhanced approach to what constitutes public health practice—one that seeks explicitly to positively affect “upstream” social, economic, and environmental determinants of health. We know that working on problems whose causes and solutions are unclear requires collaborating with and leading many different groups. This means that the people working in public health from a variety of different professional backgrounds require training that prepares them to deal with this complexity and with the different groups of stakeholders required to collectively address complex public health challenges. As the Regional Health Administrator for the U.S. Department of Health and Human Services for Region X in the Northwest part of the United States, I have experience in observing and leading teams of public health professionals to work on major public health issues and have had an opportunity to work with a program that is effective in training students to become impressive and confident practitioners. The MPH in Community-Oriented Public Health Practice program at the University of Washington in Seattle has created a rigorous academic environment that allows students to engage closely with health problems in the community and that teaches students to learn by doing. Students help our region’s practitioners solve real problems and develop practice skills that will be used every day to move public health teams to take effective data-driven preventive action. I urge other schools of public health to consider how they can best incorporate the lessons from this effective and inspiring program into their own teaching methods. Such efforts will prepare members of our future workforce for the complex challenges that await them. In 2000, I returned to Seattle from the U.S. Centers for Disease Control and Prevention in Atlanta to work at the University of Washington School of Public Health and Community Medicine. At that time, my UW colleagues made me aware of a remarkable new enterprise: the development of a Master of Public Health program focused on the practice of public health. The MPH in Community-Oriented Public Health Practice (COPHP) would be an unorthodox undertaking for two primary reasons. Firstly, the school had a reputation for training future researchers on the fundamentals of research. Secondly, the group of faculty involved in developing the program had decided to base it on the best principles of adult learning theory, and as a result, they were determined to use the problem-based learning (PBL) method as the program’s anchor. As a life-long practitioner of public health, I was intrigued and hooked. I was pleased to join with several colleagues in a multi-year exploration of how best to design a program for adult learners so that they could enter the employ of a non-profit or government agency or health care institution and “hit the ground running.” Testimonials from employers hiring the graduates of this program as well as from the students themselves have confirmed that, with COPHP, we took the right approach. This book tells the story of that exploration, our initial program design, and the lessons we learned as faculty and students together re-shaped the program each year to improve the effectiveness of the learning experience. It is directed at all teaching programs that wish to move from conventional methods of teaching and learning, where faculty lectures predominate, to an environment where the faculty craft PBL cases that students use to teach each other; from faculty-governed learning to a shared learning space; and from a knowledge base dominated by theory to one where students discover theory by looking at problems in a practice field. In this book, we provide examples of the PBL cases that faculty have written and used in COPHP courses. A companion project will make the entire set of COPHP PBL cases available for an annual subscription fee (see Appendix L). The editors and authors of this book understand that it will be the rare program that converts completely from traditional learning methods to PBL. We offer advice and insight into the many aspects of PBL and how, over the years, we have tried to be flexible and pragmatic about its use and interpretation. One of our foremost tenets has been to monitor how both students and faculty have contributed to programmatic quality improvement. The COPHP program has been fortunate, particularly at its inception, to have the support and vision of leaders in the School of Public Health. COPHP was launched under the direction of Dr. Frederick A. Connell, Associate Dean of the school at the time, who oversaw the first set of PBL cases created from the practice environment and worked through the complexity of training faculty in a new method of teaching. Dr. Connell had the challenging task of turning a start-up into an accepted institutionalized program. His experience as an epidemic intelligence officer and a pediatrician anchored him in the practice world; his academic credentials as a researcher and ties throughout the school’s academic departments helped to assure the program’s successful launch. Dr. Connell now has emeritus status. After the program was stabilized, I took the leadership reins for three years and was followed by Peter House, a senior lecturer in the Department of Health Services and a clinical associate professor in the Department of Family Medicine. Peter successfully met the challenge of moving the program from partial funding by the State of Washington to complete funding from student tuition. The current COPHP Director, Dr. Amy Hagopian, with research interests in global health around health worker migration from low-income to wealthy countries, has helped expand the program’s annual cohort to three groups of eight students. COPHP has been fortunate to have strong faculty leadership for each of the required curricular areas. Several of these faculty members—Aaron Katz, Jack Thompson, Fred Connell, and Stephen Gloyd, with support from then Health Services Chair, Bill Dowling—participated in early conversations about developing a program over post-class libations at a nearby cantina. The conversations over time developed into a formal proposal to the School of Public Health that generated the COPHP program. Case-writing leads for programmatic content in the PBL cases at the beginning of the program include: Management (Bill Dowling); Population Health (Stephen Bezruchka); Community Development (Jack Thompson and Peter House); Epidemiology and Biostatistics (Fred Connell and Jim Gale); Health Promotion/Health Behavior (Karen Hartfield); Policy and Evaluation (Aaron Katz and Amy Hagopian); and Environmental Health (Bill Daniels). 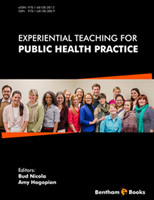 Many current faculty members are chapter authors for this book (Sharon Bogan [former student], Brett Niessen [former student], A. Gita Krishnaswamy [former student], Aaron Katz, Amy Hagopian, Peter House, Karen Hartfield, Jsani Henry [former student], Stephen Bezruchka, Ann Vander Stoep, Michelle Garrison, Tania Busch-Isaksen, Wayne Turnberg, Jude Van Buren, Sarah Ross-Viles [former student], Hendrika Meischke, Chris Hurley, Katie Bell, Ian Painter, Jack Thompson). To credit all who have contributed to the success of COPHP, I should really name the program’s alumni since many of them are substantial contributors to the development and improvement of all aspects of the program. The book chapter on CORE (Anne Althauser, Tara Bostock, Ariel Hart, Jennifer Hagedorn, and Afomeia Tesfai) describes the major contribution that students made to incorporate anti-racism principles into the curriculum. Thanks to all of the students and faculty who have been a part of COPHP over the years for their energy, enthusiasm, and devotion to learning. This learning community has shared the insights, the joy, and the continuing relationships resulting from many months of hard work.